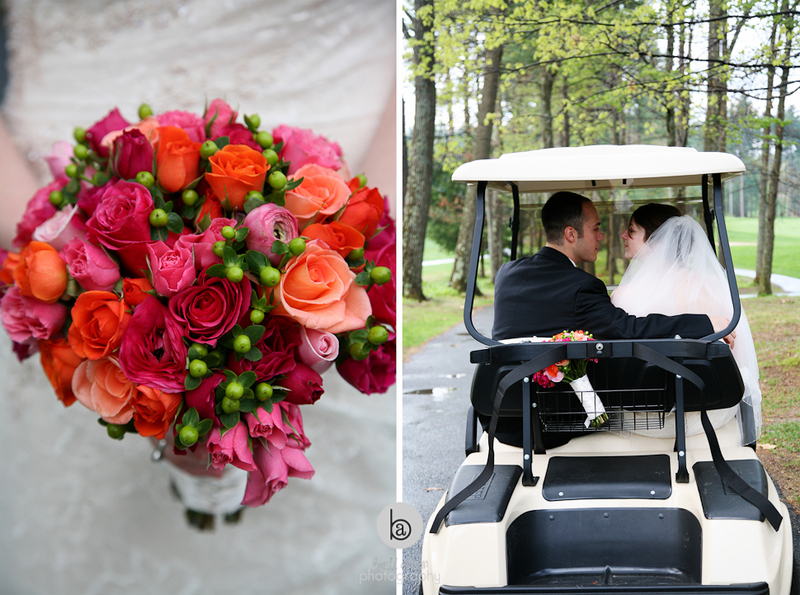 This rainy week got me thinking about my first wedding of the season last year - Jenna & Bill got married on a very rainy day at Butternut Farm Golf Club in Stow, Massachusetts... Despite the rain it was a really lovely day. 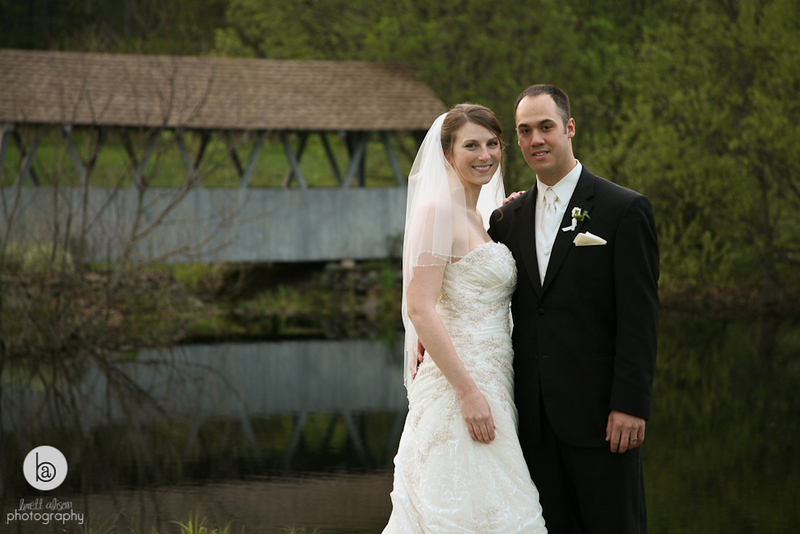 Jenna and Bill are such kind people and the love for them from their family and friends was evident throughout their wedding. 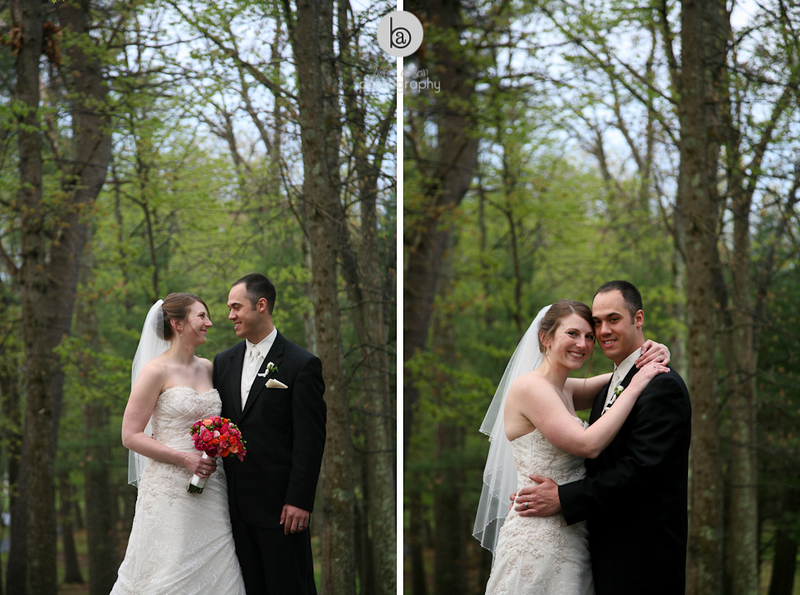 Here are just a few shots we got during the lucky rain break before the reception. These bright flowers (love the colors!) definitely cheered up an overcast day. And we all got to ride in golf carts! Always fun.